I can not even describe to you the hideous state of my husband's old, beat up wallet!! A new one was well over due. 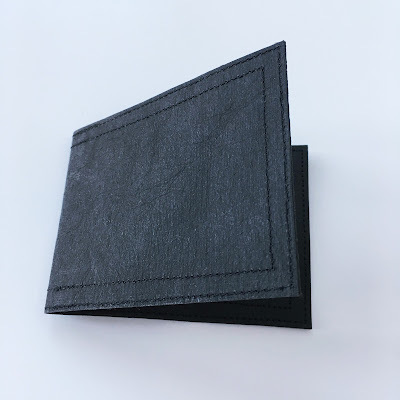 He likes a simple folded card holder and it occurred to me that I could make one. Initially dubious, he is really pleased with the result! * October 2017, edited to add - my husband just said this is one of his most favourite possessions and he's still using it every day! Possible the easiest sew, with only three cuts, I thought I would share the measurements and a quick tutorial so you can make one too. 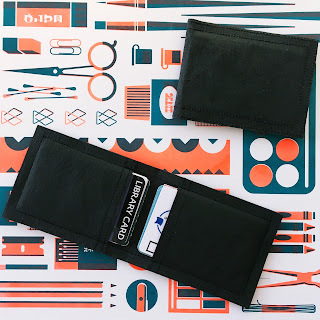 It would be a perfect present for anyone that likes a minimalist style, needs a place to keep bank cards or business cards and it would also be a great way to give gift cards. The sew simple card holder wallet is made of Kraft-tex. An alternative would be to use a good quality felt, it needs to be a material that won't fray. 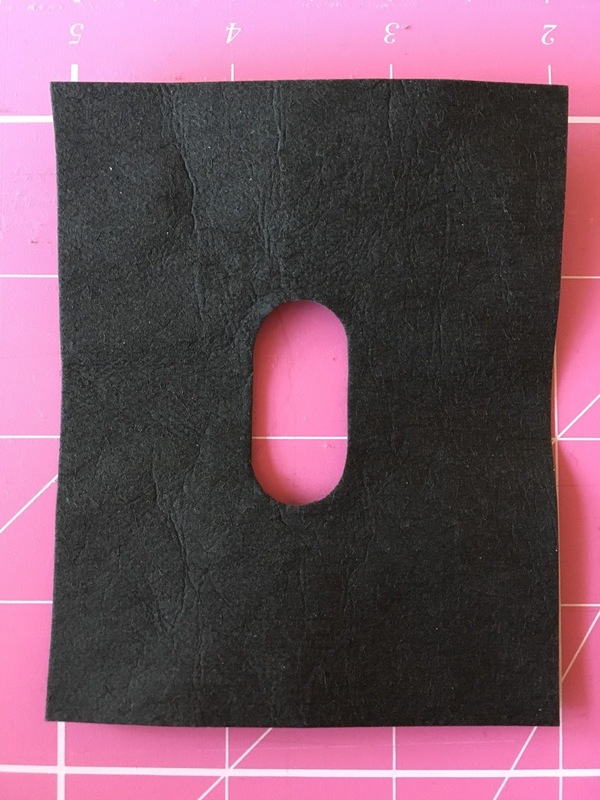 I recently bought some Kraft-tex, I was curious about what it felt like and what it could be used for. 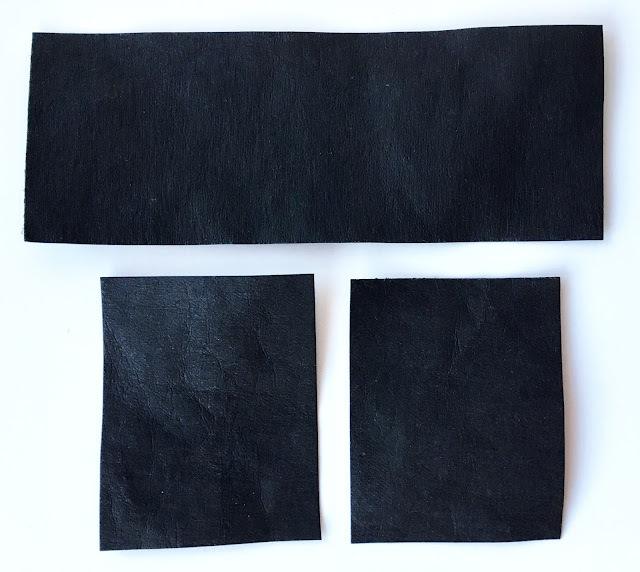 It is described as "rugged paper that looks, feels, and wears like leather, but sews, cuts, and washes just like fabric... Durable fiber-based texture softens and crinkles with handling and washing". It is a great vegan alternative to leather. It feels like thick paper but slightly more flexible. It does fold and crinkle but it's also firm. It has so many possibilities for adding into sewing projects! 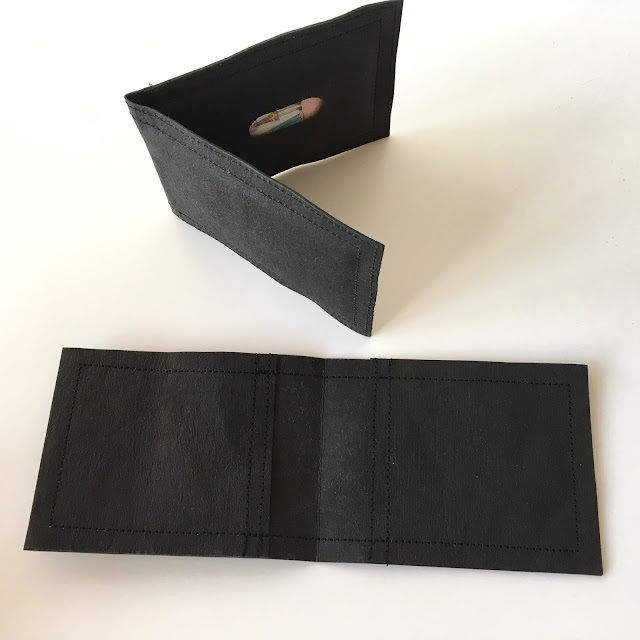 I washed mine before using it because I didn't want it to look like card and it did make it look more wrinkled like leather. I have ordered some in a paler colour because I really want to stamp on it, wouldn't it be fun to give someone a personalised card holder?! Kraft-tex isn't expensive and a quick search online will bring up lots of stockists. 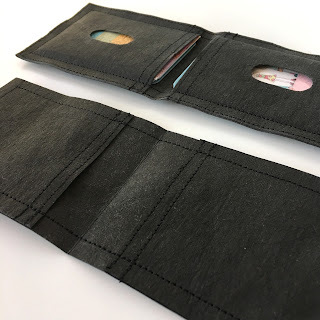 Please note that I made a couple of different card holders. Trust the instructions rather than the scale or any measurements seen in the photos! 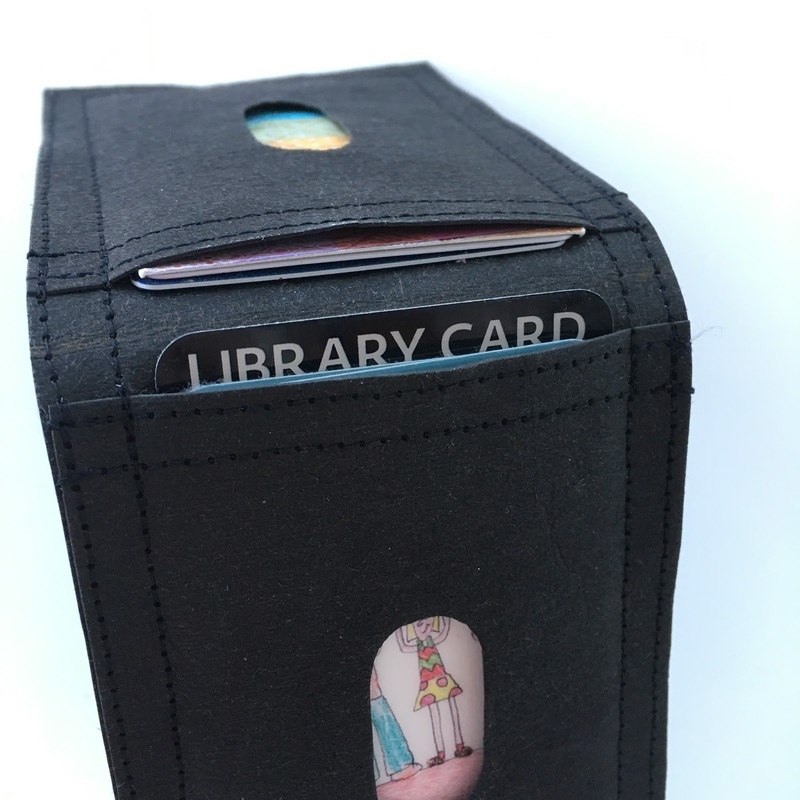 You can fit 3 or 4 cards in each pocket (though my husband has stuffed it with more!). Use coordinating thread or make it pop with a contrasting colour. Now you can chose to get a bit fancy or keep it super simple. Add a hole to help push the cards out or skip this and jump to Step 4. 2. 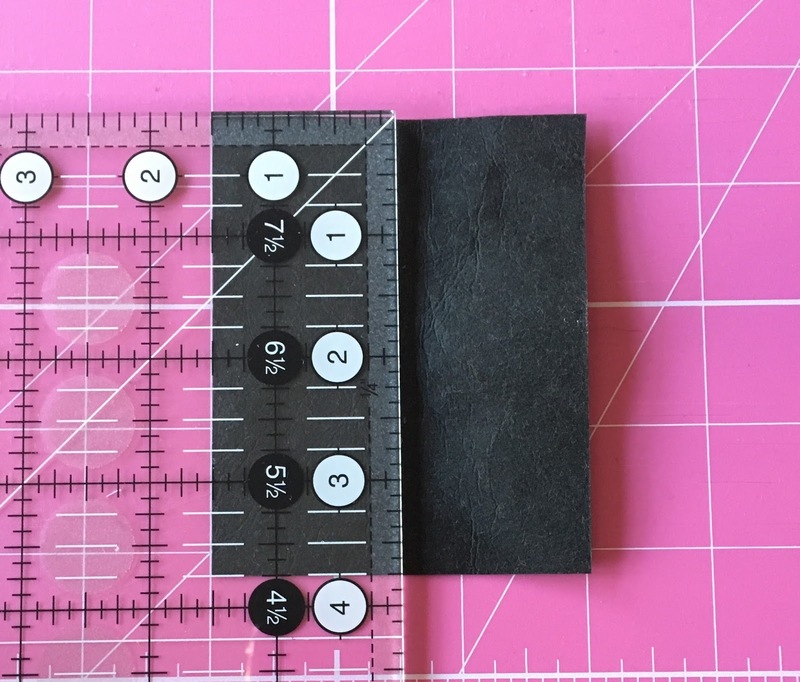 Line your ruler up at 1½ along the 3" side of the smaller pieces to find the centre, then mark dots 3/4" from the top and 2½" from the top to give a guide for the length of the oval hole. 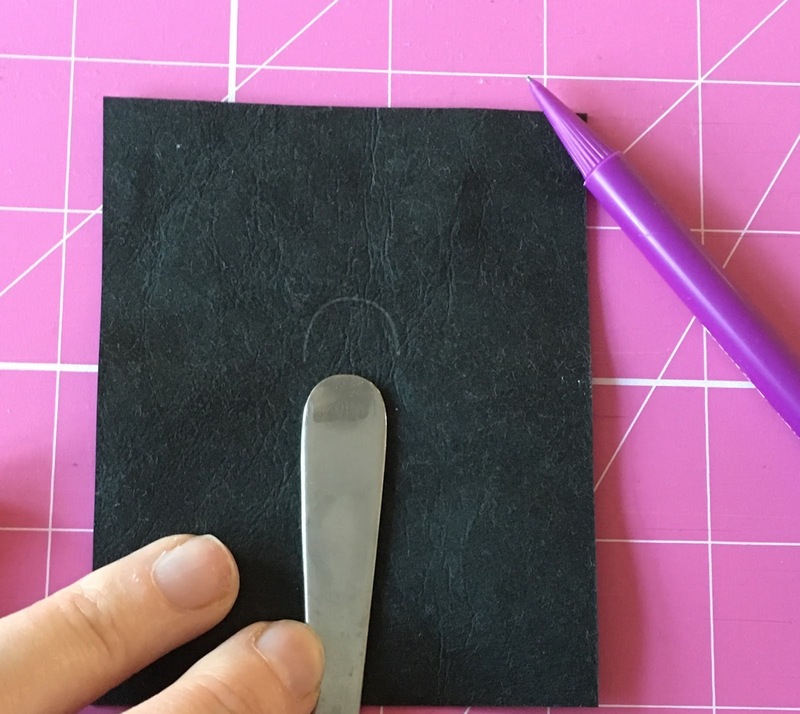 Use the end of a teaspoon to mark the curves of the oval and a ruler for the straight edges. 3. 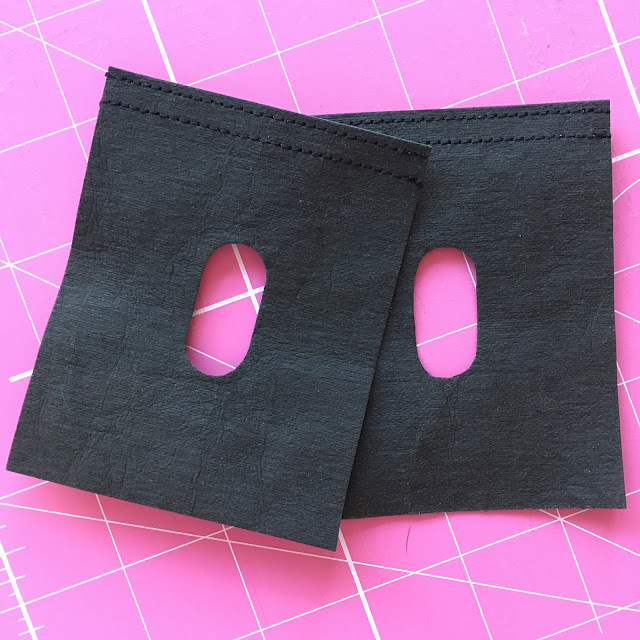 Use a craft knift or small scissors to cut out the hole on both of the smaller pieces. 4. Again this step is optional but I think it adds a nice decorative touch and keeps the card holder simple but professional. Stitch 1/4" from the edge on the 3" side and then top stitch, so you have a double row of stitching. Make sure you back stitch at the beginning and end when sewing to secure the stitches. 5. Position the smaller pieces on top of the large one matching up the corners, make sure the stitched edges are towards the centre and use clips to hold in place. 6. Stitch 1/4" from the edge on the 3" side and then top stitch, so you have a double row of stitching all the way round. 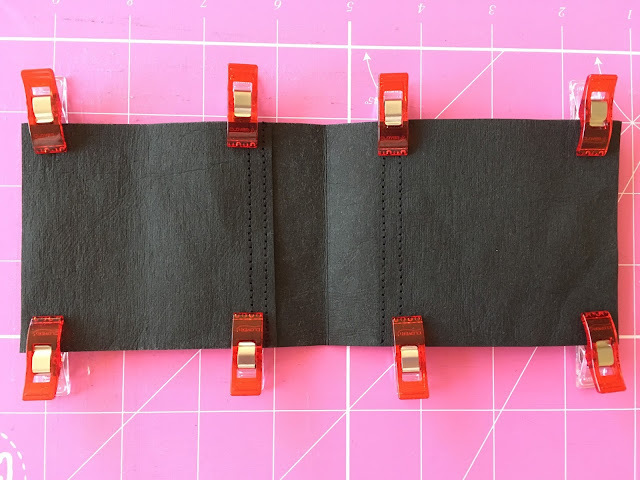 As you are sewing, back stitch across the 4 sections where the pockets open. I backstitch 1/4" to just to the meet the first row of stitching on the smaller pieces. 7. 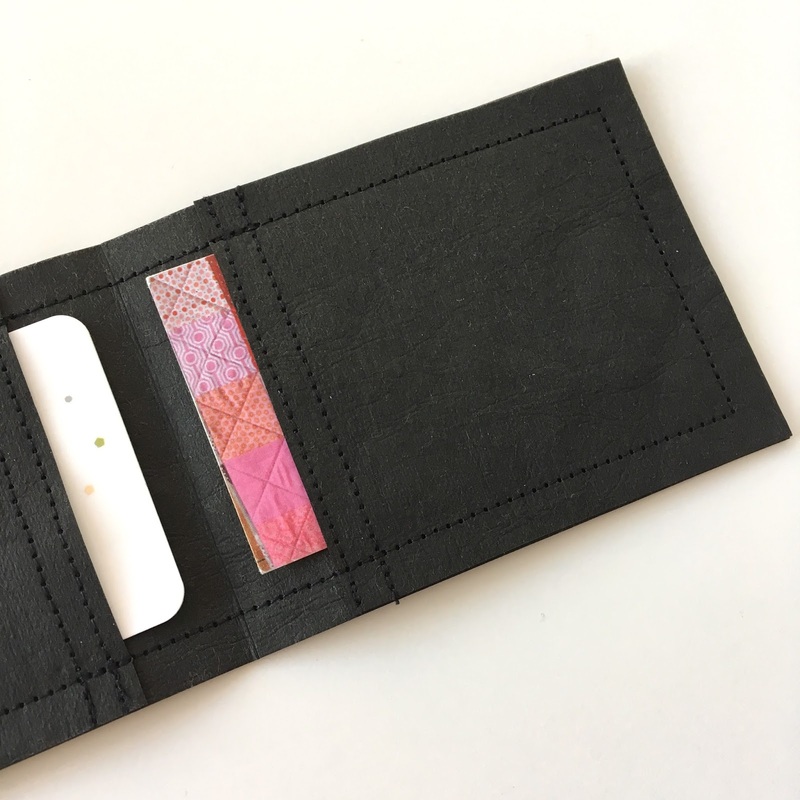 Score down the centre, fold and your card holder is done! You could chose to add embellishments, stamp or write on it! I actually wrote some positive words on the inside of the pockets to bring my husband luck. 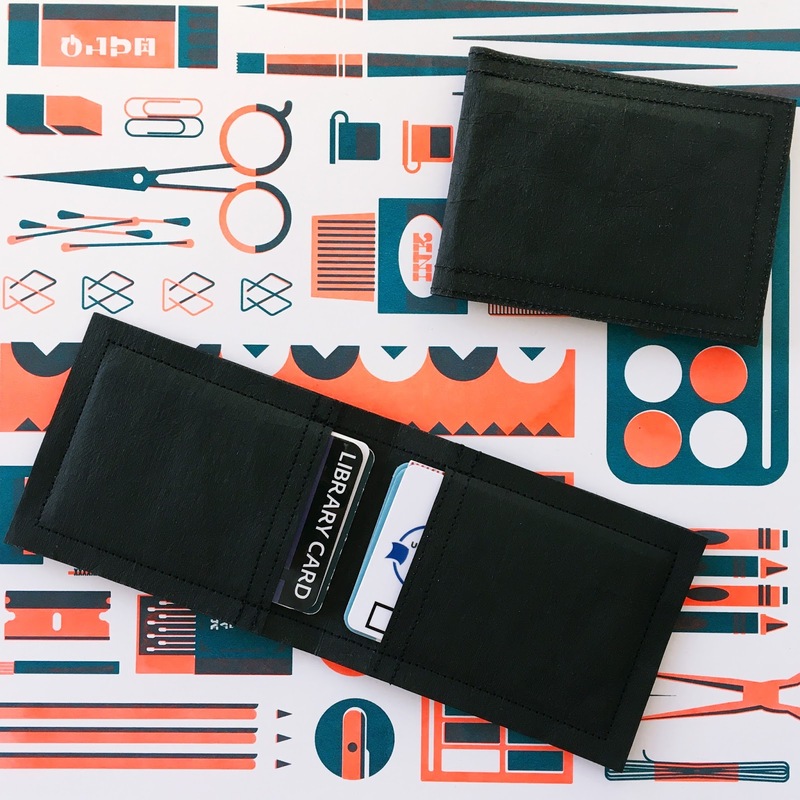 Make it your own and enjoy using or gifting your card holder! Neat! Looks like pretty cool material!